I love travelling, and a very major part of that is because of the wanderlust gene we inherited from my dad. He has been an extensive traveller, and as a family we have always endevoured to create indelible family memories, wether it is our van turning over on the way to nahaan, or the partridge cooked on an open fire ( the best bird meat I have ever tasted) or the tree house we later played in Nahaan. ofcourse we were old enough to be able to make those memories. But what about travel when we were younger? when we were babies and toddlers? Mom reminisces about travelling with her sisters , and carrying me inside a 'PP bag' a bag with P's drawn on it. She has vivid memories of travelling with my brother and me alone from India to London, and both of us toddling our way in the heathrow airport. And while neither of us have any memories of the bus journey to aurangabad, or our first international flight , but the memories are absolutely special for my parents, and this is all I have to say; travel with your kids when they are young, they may not remember it, but I guarantee you will have an adventure of a lifetime. Travelling with a baby is a herculean task, filled with unknowns and unpredictables, and with Murphy always trying to undo your best laid plans, travelling with a kid is never boring, and here three women who have travelled and lived to tell the tale, tell the tale in their own words. 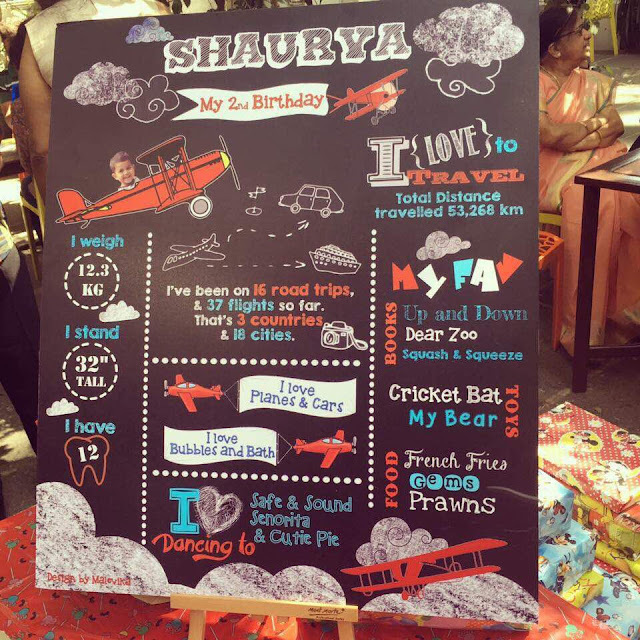 Since Siddharth & I both love traveling, that is the only way of life that Shaurya is familiar with. The greatest gift my parents gave me was the gift of travel and for that I will always be indebted to them. Travel provides an education far richer than any book. People tell me oh but he won't remember anything what's the point? The point is, I love traveling. I need it. I find in it a joy which very few material things can give and that's what I want to share with my son. A lot of people often ask me, but isn't it tough with a toddler? It takes a little bit of planning but it's quite manageable. 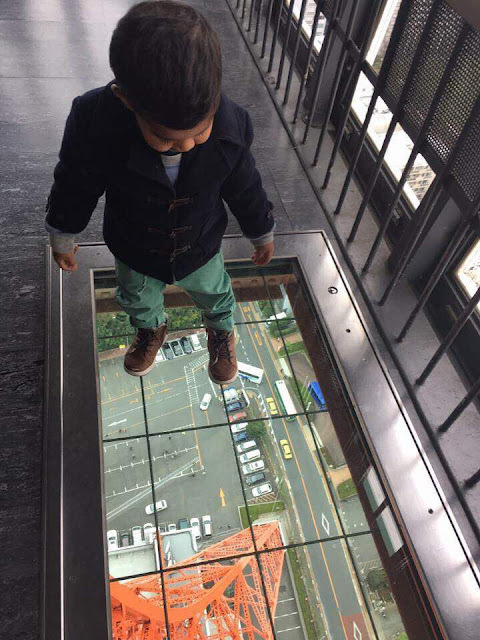 Shaurya, there's so much to see, to love & to appreciate in this world. He eats pretty much everything we do, other than spicy food. Loved the Japanese ramen and the coorgi chicken. I think my most memorable experience has been the Japan Disney world. I wanted one day of the trip to be just for him, and he had such a ball seeing the Disney floats, going on the Dumbo ride and also made a friend in Mickey. The worst experience is when airports you're traveling from don't have childcare rooms especially when you need to breastfeed your baby. Ok I have a specific worst experience. I traveled with Shaurya to Bombay when he was 3 months old for my sister's wedding shopping. I was shocked that most of the malls didn't have child care rooms. Especially a place like High street Phoenix mall. As a result I kept shuffling between the car parking and the stores all day long just so I could feed him and change his diaper. An absolute nightmare. Hopefully now more than 2 years later, more and more places are realising the need for a child care room. Travelling with an infant! yes...it can totally b done! We both love to travel, and our little one has travelled to two international destinations before turning 1. we travelled extensively during my pregnancy as well, and even undertook a major road trip, life changes post delivery, but this was one aspect which we are happy to continue with our little one. * imp to choose a place that is either good weather for being outdoors and still resting in the stroller through the day or a resort that allows the entire family short (or lengthy) naps when needed. * the biggest stress is food for ur baby right? less than 6 months old and breast fed then its a breeze (check out public breast feeding policy of the destination country and remember to carry an appropriate cover up to make urself confident and comfortable). started solids - baby food makers available online that aid boiling and blending are great! baby cereals r also great/instant option...and banana is the safest yummiest on the go food always! parents can opt for an all inclusive package which may be even more relaxing . * its sensible to make a small kit of things to be used for ur baby on flight that can b retrieved from ur hand luggage and b handy during the flight,specialy take off and landing. kit- water sipper/milk/formula,2 diapers,small pack of wipes,small shawl and jacket,fresh romper, fav small toy. *packing tips - pack 3 rompers a day,swimming nappies,sunscreen (banana boar 50spf water resistant sunscreen is total value for money ,does a superb job),squeeze toys(for bathtub and beach fun),essential medicines (paracetamol,sinarest, nasoclear,thermometer,bandaids,savalon,ors,cotton), floating tube,swimwear, winterwear/thermal wear . regular and swimming diapers . few squeezy toys and a couple of small books. wet wipes and hand sanitizer. spoons and lightweight covered bowls. worst experience while travelling- Delhi airport had a terribly unequipped baby care room with no furniture to sit, or no nappy changing mat/table/surface. the wash had no soap..as i was travelling wth a 6 month old alone it was v challenging. I always love to travel and explore. Lucky to have found a partner who enjoys it as much and now with a baby its more hard work to travel but we won’t give it up anyhow! I have observed that most parents get super hyper when it comes to travelling with babies and kids especially on international flight! If you plan it well, then it can really be managed and you no longer have to wait for them to grow up before you can continue exploring your passion for travel. Baby on Board – Firstly check the flight details and check their website on allowance for baby luggage. Ideally you will be paying less for babies under 2. Most international flight allow easy to fold strollers. But do read up about your destination and if its stroller friendly? Else you will be carrying a useless piece of equipment. Next – Ensure it’s tagged correctly! Ours went missing in a connecting flight! Keep the Meds handy – Now with a baby ensure you carry a copy of his / her vaccination card plus any other test reports you may think is needful. Have all your OTC medicines ready especially common cold cough and fever. I prefer to make list of medicines and prescribed dosage after consulting with out pediatrician. this should be in your baby bag and always in your reach. Check for the kids play area – Long flight at odd hours cannot always be avoided during international travel. Our Flight to KL was at 12 am. So to keep K busy we found a small yet super awesome play area at the Delhi International Airport. She had not yet started walking independently then but she was very enthusiastic to walk holding my hand or with support and enjoy all the rides! She crawled all over the place and it helped to tire her down! No points guessing that she slept through the 6 hours flight! More than real toys, mine is happier with stickers, tapes or just random catalogues on flights as she loves books. Keep small yet simple toys and hand them over one at a time only to keep it exciting. If there is a favourtie toy, don’t forget to carry 2nd favourite for the return in case it’s lost. We took our first International trip to Bintan Islands in Indonesia in August 2016 and Kenisha was then just 15 months old. Our journey was quite tiring – starting with a 6 hours flight from Delhi to Kuala Lumpur, connecting flight of 3 hours flight to Singapore and then immediately rush to catch a Ferry to Bintan Island straight from the airport. Door to Door, we were travelling for close to 20 hours! at the play area in the airport. 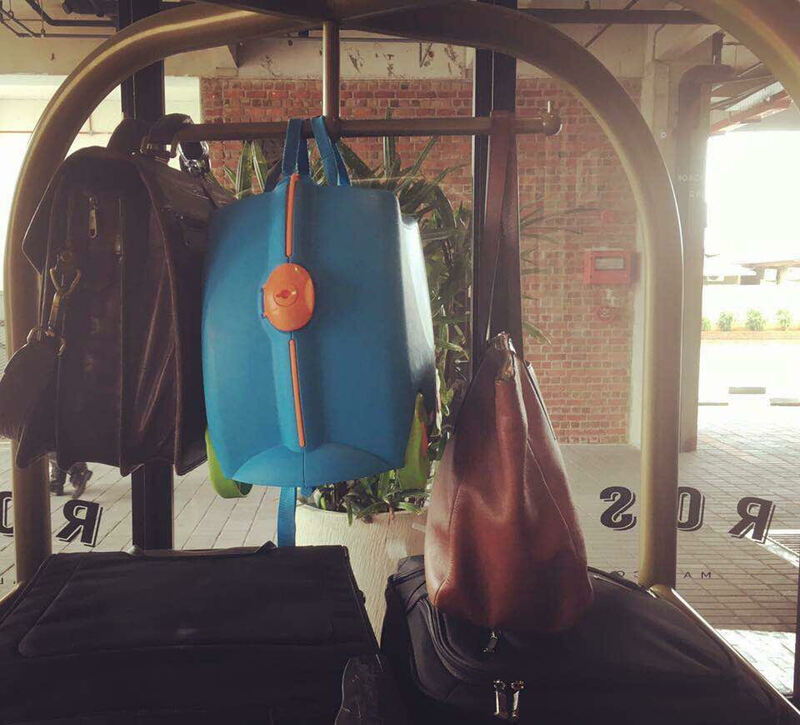 My two cents about travelling with baby; dont do it for the child, do it for yourself. The baby wil not remember anything, and yet will definitely learn about adjusting to different climates, and food and changing routines. Travel for all the reasons you always wanted to, and just let your child see you in an environment of relaxation, one where you are not making breakfast and dinner, or rushing to work, or worrying about picking up after baby, or making beds. travelling with a small baby or toddler needs planning, as well as an adventurous soul. to see the world through their eyes, while they stop and stare at things, we spent the wee hours of the morning staring at the crystals at the swarovski store when my son was 14 months, we made friends with people we would not have otherwise spoken to, children are the ultimate icebreaker, go to the same places where you went without kids, and notice the difference. AS PART OF MY 5 YEARS OF THEFOODIETRAILS.COM THIS IS ONE OF MY CELEBRATORY BLOG POSTS. A heartfelt thankyou to the awesome moms who contributed, and the awesome dads who are equal participants in the joys of travellng with a kid. When a child turns five, it can make any mom nostalgic and as I was look back on the years gone by, I decided to go through more than a 100 blog posts . I realized that some blog posts had been more popular than others and here I share the behind-the-stories which led to these blog stories. It's funny how the internet works, or may be it is the SEO, search engines which have popularised some of my blog posts more than others, or maybe it is the brilliance of the content itself. was it my own inadvertant marketing skills? Was it something I did right? you tell me. I would rather have my readers tell me why they loved a blog post and shared it with friends, because suffice to say, I just write , even after 5 years of food blogging, I am yet to figure out what 'works' and 'what doesn't'. My advice to fellow bloggers would be to stop worrying about the numbers, and concentrate on the experience, because writing the blog post, and sharing it is in itself a very satisfying process. The numbers, the followers, the adulation all follows. this post os part of my five year celebrations, to share with all my readers the journey till now. I was doing my fellowship at Aravind eye hospital in Madurai, which allowed 10 days of leave in my 18 month tenure; so you can imagine how precious each of those days was. I cashed in one of those precious days to visit Kanyakumari with my mom. Our plan was to drive down early morning to reach the southern most tip of India by early noon, have a lunch somewhere nice , then spend the evening sightseeing, and again having an early dinner and setting back. Food of a place was always intrinsic to my experience of a place. Now Kanyakumari, is not only the southern tip of India, but is also the meeting point of three water bodies, the bay of Bengal, the Arabian sea and the Indian ocean, they even have a point where you see the three waters mixing in various shades of blue, green and grey. I was looking forward to seafood delicacies, and set out googling the best places to eat in Kanyakumari. Maybe a local place for the freshest of crabs and prawns, or even one of the sea facing resorts which offer a mindblowing view of the brilliant sunsets that KanyaKumari was famous for. Something classy, or local, or kitschy, or just plain ‘do not miss when visiting ‘ kind of places. We had less than 24 hours to make the most of our visit to a place, we may never be visiting again, and I couldn’t find a single website to help me. Sure there was trip advisor, but it just rated restaurants, there was no way of knowing which were the local favourites, which ones were iconic, which places were off the restaurant list, such as shacks and market places. We ended up eating chicken biryani, at a restaurant our cab driver suggested. A few months later I cashed in another of my precious leave slips to go to Munnar and Thekaddi with my then boyfriend and now husband. This time we were better prepared. I realised there might be others like me who go on whirlwind trips, who don’t have time for the ‘slow vacation’ who don’t have the luxury of ‘ lets go there and figure it out’. I was a working professional , who loved travel, who loved eating out, and who needed it all to work out such that I got the best moments on my vacation. I figured there may be more people like me, who felt that the food of the place was as important as the sight seeing. Who realised that the whole experience at the trevi fountain would be incomplete without an Italian Gelato , or journeying to the statue of Liberty, meant having the fanous ‘hamburger’ the Americans had invented, and Hyderabad food trail meant scoring the best biryani. The journey was not easy however. Remember the precious leave slips? Yes. It wasn’t like I was a backpacking youngster who had a rich inheritance to bank roll her travels. I not only did not have the luxury of wealth ( we got 10000 a month stipend, of which 3000 went in lodging expenses), I didn’t even have the luxury of time, since my leaves were limited. My travels were few and far between. How does a travel and food blogger , blog if she doesn’t travel ? Low on money and low on time , I was still keen on pursuing my passion for food and travel blogging, even as I pursued a gruelling professional life as a doctor. Since then I have worked in a private hospital, where , again, we did not have public holidays and none of the bank holidays, neither was Saturday a weekend. We even worked through independence day. I now have my own clinic and I work through all holidays as well, because those are the days when patients can easily come into the clinic. I am a doctor first, and being available is paramount to my providing service. I realised that I had to write my food blogs during my medical conferences. I travelled to Hyderabad, and the two blogs I wrote during that time are my most favourite, I also won the best paper award during that conference the APAO-AIOS conference. The next year we went to Agra to collect my certificate and it led to another food trail in Agra. I even travelled with mom to China where she attended a conference , and I managed to get a peek into Shenzhen way of life. My medical colleagues understood little of it, and my blogging friends even less so. By that time my food writing got me a satisfying post as a restaurant critic with Navhind Times, a local Goan Newspaper. I began to post a few blogs about Goa as well, since not only did I live here, there were people who would love to read and plan their trips depending on what I had experienced. For every travel I plan now, writing a food and travel blog, or two is upper most on my agenda. I do copious amounts of reading and note taking, whether it was for our Mediterranean cruise on the MSC Splendida, or the surprise birthday gift of a trip to Kashmir or my dad’s 60 th birthday in the Maldives, or my 30th in Istanbul. It has been a slow and organic growth, my blog. With the intent of helping people realise the kind of foodilicious holiday they could expect from their destination, I have loved this lipsmacking journey and I am far from done. My work, my profession is poles apart from my passion of food and travel blogging, and as I look back on the last five years I think that has added to the mystique. I blog about my staycations, because I rarely have the luxury of travelling far from home. I blog about my work vacations, be it for my international fellowship to Newyork, or my surgical expedition to Dominican Republic. I blog when on holiday with family, I blog about my families holidays, I blog for the love of food and the love of travel. Does it pay to be a food and travel blogger? Yes, it does. As the lines from Batman go “ if you are good at something , never do it for free.” But food and travel blogging has given me much more, it has given me a greater understanding into the world of hospitality, and how hard people work to make our stays memorable, it has given me a better understanding and respect for fellow travel and food bloggers, who create worlds with their content, they make people drool, and dream about different cuisines and different destinations, and that is a worthy profession as any. It has also connected me to a robust generation of new age travellers, who balance work and life , who follow their heart as well as their head, and even if it has them doing cartwheels at times, it’s worth the journey. This blog, has been a gift , for all my readers, but also for me.